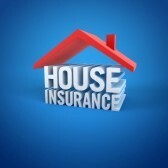 How much Homeowner’s Insurance should you have? Be sure to ask if Earthquake Insurance is worth getting in your area. My insurance company told me most of the time it is NOT in the Kentucky area because the deductible is so high that it wouldn’t cover any minor damage we would incur. I know it works in Google Chrome, FIrefox and IE11 so i suggest trying one of those browsers.